Tuesday, September 18, 2018 by: Isabelle Z. (Natural News) Neonicotinoid pesticides are destroying wildlife around the world, but proponents claim that they are useful for increasing agricultural production. Of course, losing the planet’s most important pollinators is going to have an even bigger effect on the food supply and human life in the long run, and now there’s another very convincing argument against neonicotinoid use as a new study has found that these pesticides are not delivering on their promise to boost crop yields. According to a global assessment of 200 studies that was carried out by the International Task Force on Systemic Pesticides, the use of neonicotinoids has caused serious damage to pollinators, birds and other insects while failing to increase yields overall. We already knew that these pesticides were dangerous, but to find out that wildlife is paying the ultimate price for no benefit is particularly gutting. Perhaps not surprisingly, it turns out that the only parties benefitting from the use of neonicotinoids are the chemical companies that manufacture them. The study’s authors believe that the serious damage caused by these chemicals should be weighed against the evidence showing that they do not result in higher yields or greater profits in the future. They point out that neonicotinoids could be phased out in order to protect aquatic invertebrates and pollinators without hurting agricultural productivity. Moreover, farmers can benefit in many ways from adopting integrated pest management approaches such as biological controls and crop rotations. The study was published in the Environmental Science and Pollution Research journal. 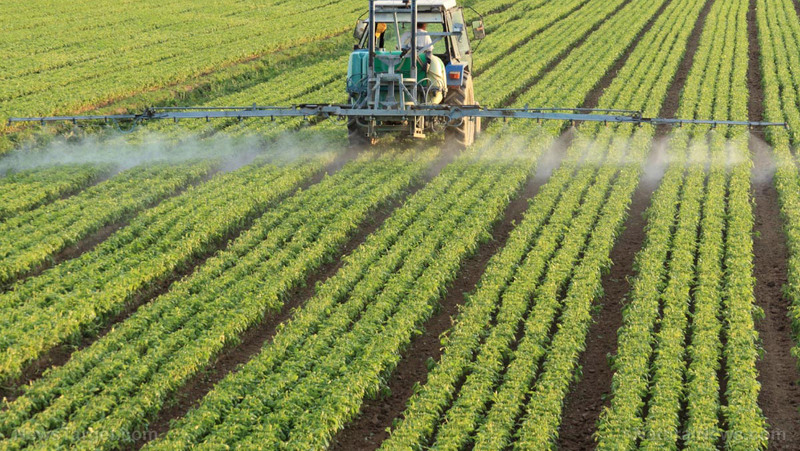 Why are these highly toxic pesticides still used in the U.S.? Burd cautioned that the EPA needs to act quickly to stop neonicotinoid use. They cause every part of a plant, including its nectar and pollen, to become deadly to pollinators. They’ve been singled out as the cause of population declines in wildlife such as earthworms, bees, butterflies, and birds, to name a few. In fact, the EPA concluded last year that they can harm and kill birds of every size as well as aquatic invertebrates. On top of that, they build up in our environment and break down very slowly. Previous studies have shown that in addition to being ineffective, neonicotinoids actually have a reverse effect in some cases by targeting the wrong insects, killing the predators of the aphids they’re meant to destroy and allowing them to proliferate and harm crops even more. Humans are also suffering directly from the use of these chemicals. For example, researchers from the University of Iowa have found neonicotinoids in treated tap water. Chronic exposure to these chemicals, even in low levels, can attack the cells of the human nervous system, causing memory loss, paralysis and even death. No safe levels of neonicotinoids have been identified for drinking water. It’s time for the EPA to stand up to chemical companies and place tighter restrictions on these pesticides. A third of bee populations are lost every year on average, butterflies are dying off in droves, and humans are unwittingly drinking these deadly chemicals. Study after study shows that crop yields aren’t being increased, so why is this destructive and ineffective insect neurotoxin still applied to 170 million acres of GMO soybean and corn crops in the U.S. every year?